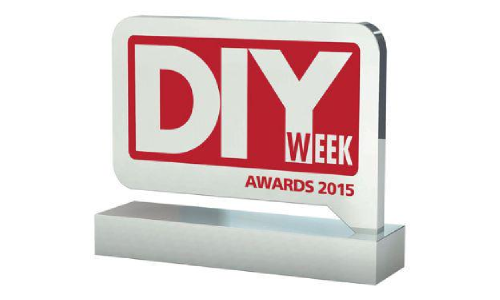 On 16th February 2015 Mackays of Cambridge Ltd received the Silver Award for “Retail Communicator of the Year” at the DIY Week award hosted at the Ricoh Arena in Coventry. Recognised for their excellent customer service and imaginative approach to marketing Mackay of Cambridge Ltd proved themselves to be amongst the best in the business. Over the last year Mackays have adopted a unique quirky approach to marketing which has bought increased local and national awareness. With its ever increasing popularity social media has played a large part in the way Mackays promoted their business and handled customer service. Mackays famous mannequin Dickie Mackay has helped them tremendously this year by creating multiple videos and even interacting with customers on Twitter and Facebook . In the summer Dickie became a local YouTube sensation . Links to his videos were published in trade magazines and newspapers, featured on blogs and websites and even broadcast on Canadian Television.